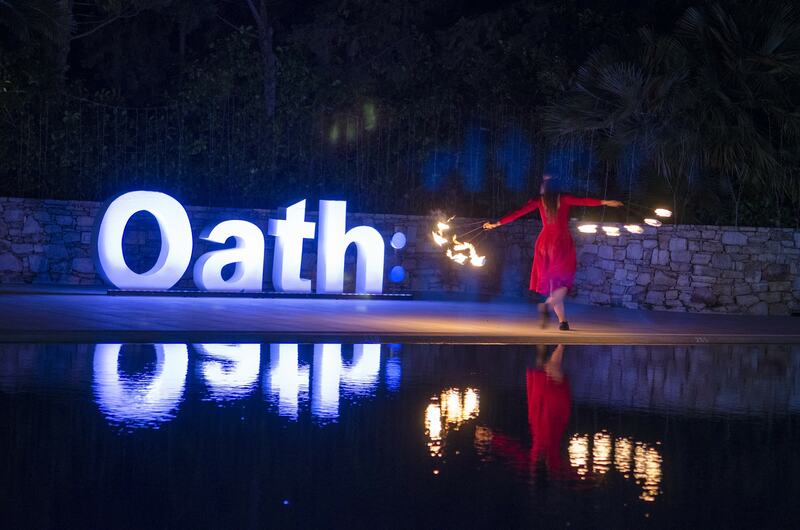 FYE – For Your Event undertook the planning of the Launch Party of Oath: and acrossmedia241 in Greece. Guests enjoyed their cool cocktails of Ecali club under the sound of smooth jazz and the entertainment of two performers with fire show and stilts. Special construction and light installation was handled by Sound Projects.